SP-401 lighting unit is key element of hybrid airfield lighting. 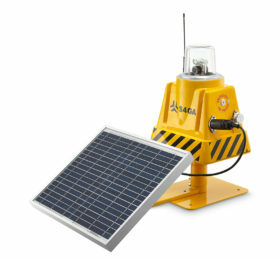 This intelligent lighting unit is solar-powered and wirelessly controlled. ICAO-compliant optics generates correct light output in terms of intensity and chromaticity. 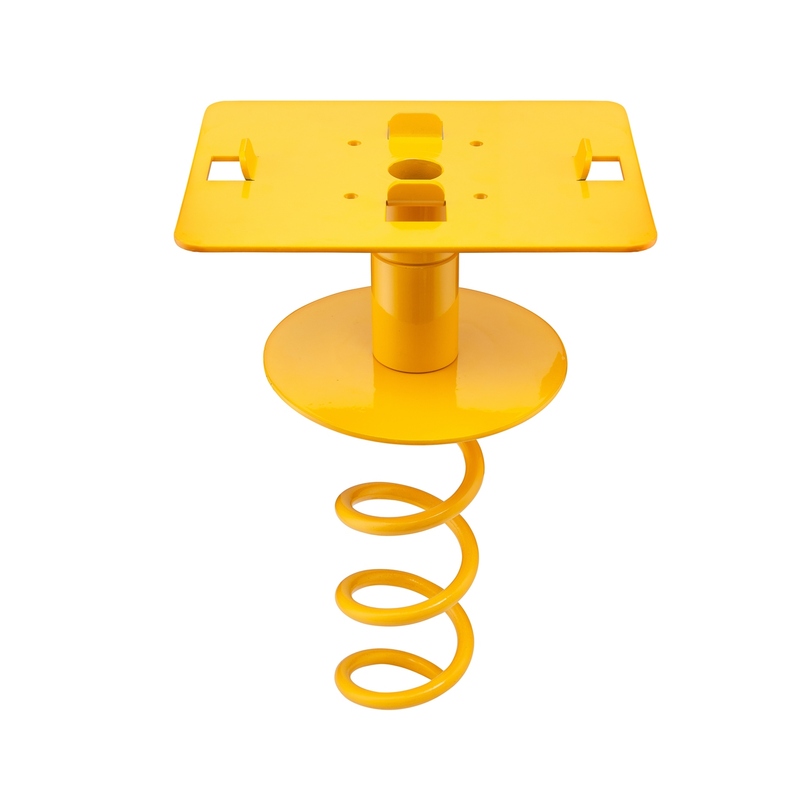 This mounting is designed to fix SP-401 lighitng unit to grass or ground surface. Mounting is made of non-corrosive steel. Aviation-yellow, UV-resistant paint additionally protects mounting and extends its lifespan. Mounting platforms is made of 3 elements: top platform – to fix the unit, spiral to fix structure to the grass or ground surface and frangible coupling. Platform and spiral are made of steel and coupling is fabricated of non-corrosive aluminium to ensure ICAO-required frangibility parameters.